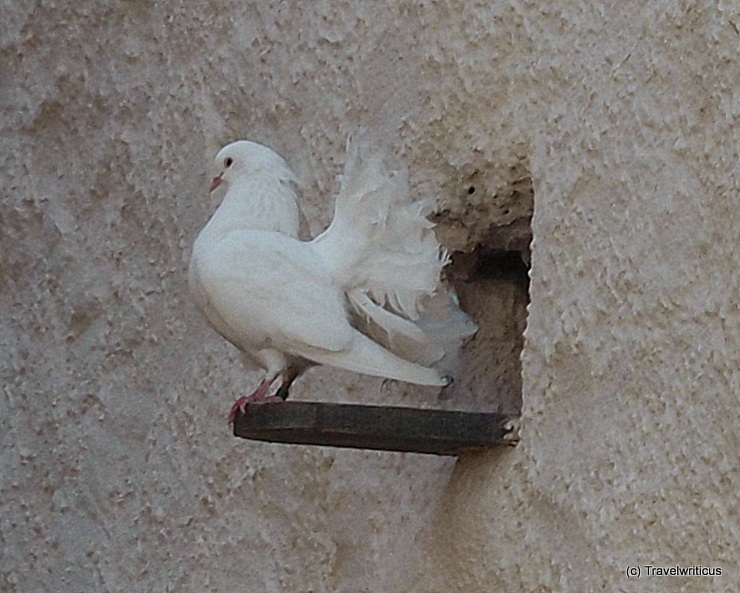 This pigeon is member of a breed living within the walls of Wartburg Castle in Eisenach. According to legend this breed was part of the dowry, Elisabeth of Hungary brought to the castle after her wedding with Louis IV, Landgrave of Thuringia. This entry was posted in Animals and tagged Eisenach, Germany, Thuringia by Travelwriticus. Bookmark the permalink.